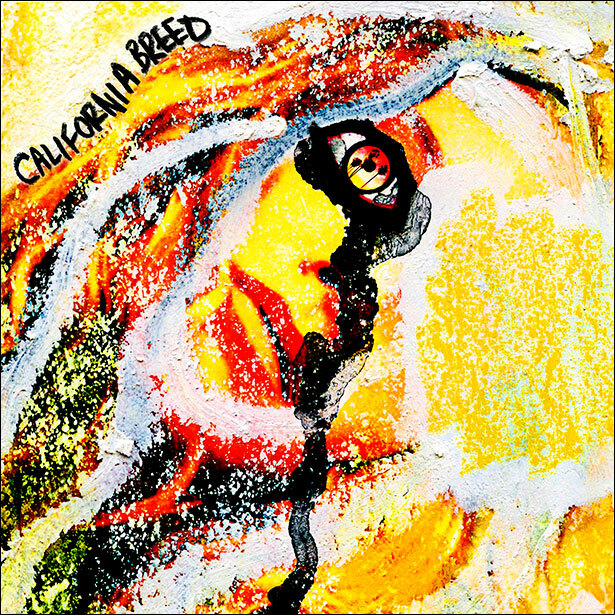 California Breed, the new band formed by Glenn Hughes, Jason Bonham and Andrew Watt have their new album out on May 19th. 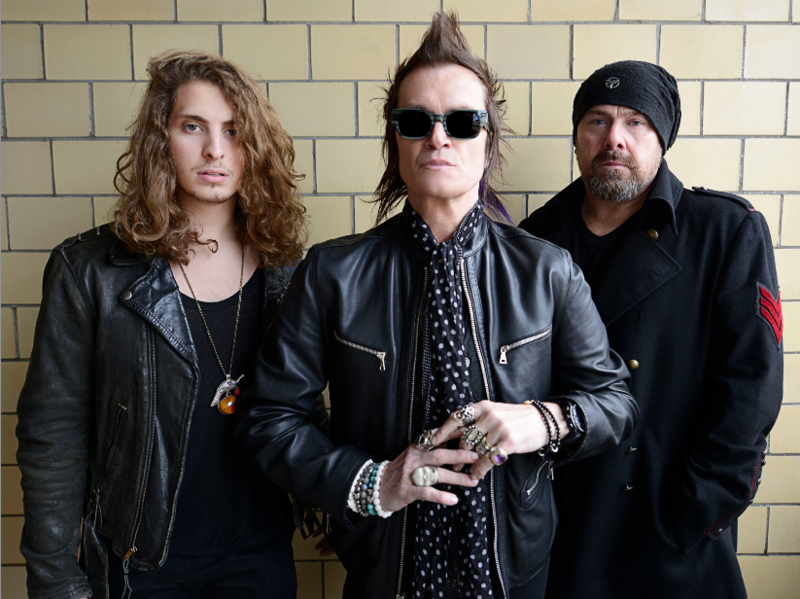 California Breed is the new band featuring legendary vocalist-bassist Glenn Hughes, drummer extraordinaire Jason Bonham and 23-year-old newcomer guitarist-vocalist Andrew Watt. The band’s self-titled debut album will be released in the UK on May 19th by Frontiers Records. The album will be released in regular CD and CD/DVD Deluxe Edition formats. The album’s track listing runs as follows: The Way, Sweet Tea, Chemical Rain, Midnight Oil, All Falls Down, The Grey, Days The Come, Spit You Out, Strong, Invisible, Scars and Breathe. Deluxe Edition includes “Solo” bonus track, and a DVD including 2 video clips (“The Way” and “Sweet Tea”, plus documentary). 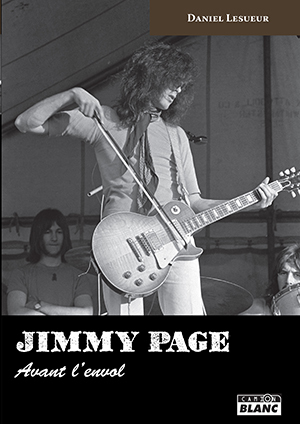 A new Jimmy Page book has just been published in France. 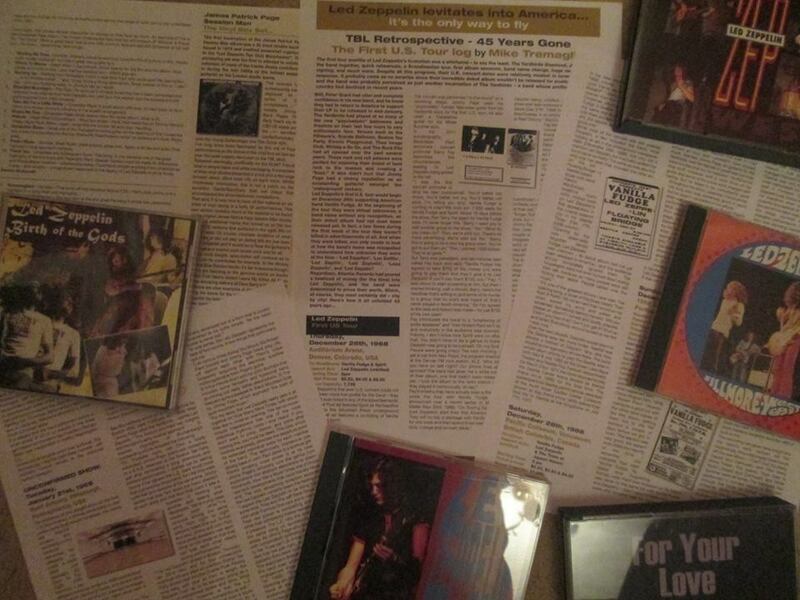 Written by Daniel Leseur, it collates detailed information on Jimmy’s 1960s session work. Thanks to Didier Janeault for the info. All roads lead to Dunton in Bedfordshire on Saturday as we stage a special Led Zeppelin day in conjunction with Paul Clark at the Hi Fi Lounge . With a good turn out expected, I have tailored the timetable to be a little more informal to keep things flowing along. 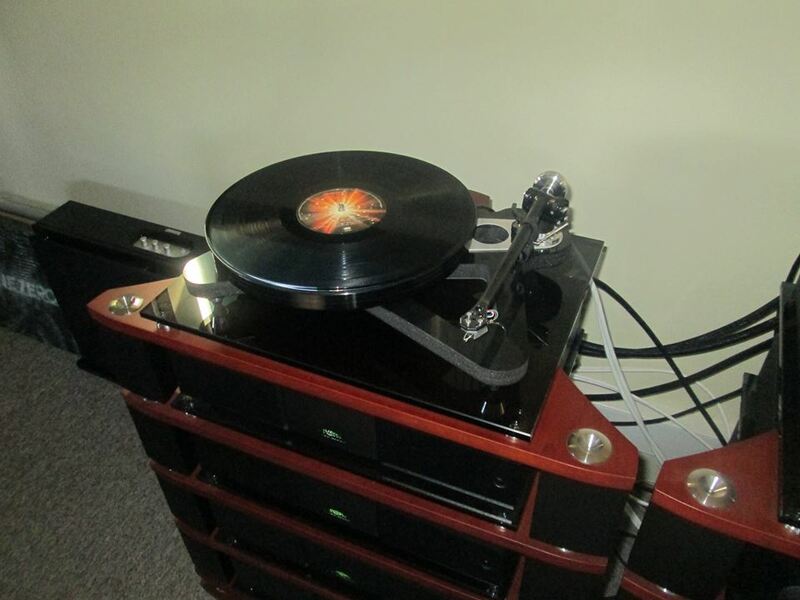 On the day we will be bringing along some great vinyl material, CD’s, surround sound DVD’s,Blu rays etc. Upstairs in the demo room we will have playbacks of the official albums on 180 gram vinyl, rare outtake material, multi tracks, and regular DVD segments of rare footage including Earls Court and Knebworth. 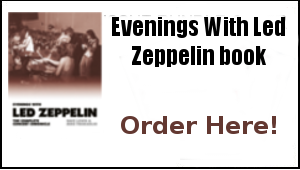 The headphones room will be tuned exclusively into a stream of Zep tracks, while downstairs in the reception area, there will be an opportunity to mingle with like-minded fans to the sound of non-stop Zep. Refreshments will also be available. There will also be various TBL merchandise on offer, including the Knebworth, Over Europe and From A Whisper To A Scream books, recent TBL magazines and TBL T-shirts. As with any build up to a TBL event, it’s been a little fraught here this week with preparation and planning for the Hi Fi Lounge date. A bit of a nasty bug going around these parts has not helped with the boy Adam and the good lady Janet both feeling under par early in the week. I’m soldiering on hoping I can stay as match fit as possible for Saturday. There’s also some website tech stuff on going to deal with concerning the renewal and upgrade of the TBL web server. 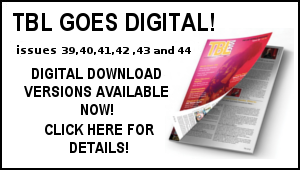 Coupled with Hi Fi Lounge prep and tech issues, there’s been some intensive work on the forthcoming TBL 37 – namely the TBL 45 year retrospective focusing on the first Zep US tour expertly compiled ( as ever) by Mike Tremaglio. This is a log of those all-important first US appearances that really hones in on the immediate impact the band had. This has led to some detailed layout and design with Mick – the end result I think will be a definite highlight of the new issue – and it will I’m sure inspire you to go back to those early tapes as featured on the likes of the Live at the Whiskey A Go Go and Fresh Garbage CD’s. That’s certainly been the case with me. There’s been a fair bit of live in ’69 Zep on the player here in the past few days. The Hi Fi lounge prep has also led me to searching out a variety of LP’s, CD’s and DVD’s to bring along. Notably the outtake stuff on Studio Magik such as the first album outtakes (the early takes of Babe I’m Gonna Leave You are just starling!). The Led Zep II multi tracks have also been given an airing – they really bring out the sheer genuius of John Bonham. As do the Zep IV alternates such as that fantastic take of Four Sticks with Bonzo’s gruff dialogue at the intro and the two versions of When The Levee Breaks. The prospect of hearing this material and a whole lot more, on pristine hi fi in the company of like minded fans is an exciting one for sure. Health issues here permitting, I am hoping for a great day – it will certainly be a tonic to get out of these four walls, spread the TBL word and converse on the subject that dominates many waking hours here.…and of course it will be great to see the likes of the visiting Gary Foy, Gary Davies (who I haven’t seen for at least three years), Richard Grubb from Wales, Cliff the ticket man, John Ion due over from Sweden, Dena Zarans who contributed a great piece to the Knebworth book who I haven’t seen in a good few years, Ian Avey etc – full report to follow next week. DL – March 6th, 2014. 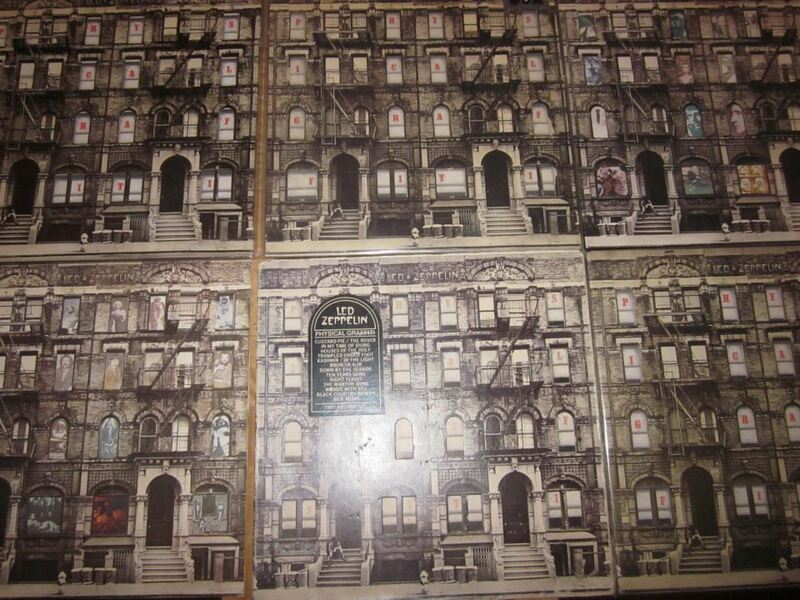 With the story of the Ron Nevison Physical Graffiti mixes being up for auction doing the rounds, here’s a timely TBL Archive special. This is my original summary of the so called ”Oh My God” tape that first surfaced in 1997 and has been much bootlegged since. The mixes discussed here appear to be similar to those that are due to be auctioned. In truth it very much did happen. Not in the public glare that had seen them perform Over 70 live gigs the previous year. Instead this was a period of re-evaluation. The sabbatical. The re-assessment. The year of the no show – of record label launches and guest-appearance jam sessions. The year of no to Knebworth, but yes to pleasing themselves. A relaxed atmosphere-that would yield fresh experimentation. As Plant put it at the time: “Over a period of a month we managed to spend at least three days a week, recording, in between various calamities and the Roy Harper Valentine gig. Some artists like to sit down and plan an album. We just can’t do that. Our music is more an impromptu thing. You know, it drops out of your mind, it falls out of your .head, and onto the floor, and you pick it up as it bounces. That’s how it works. But what else can you expect We hire this recording truck and trudge off to some, crude old house in the country. The last thing you expect is the music to fall right into place. But eventually it does”. There has been previous outtake material from this era – bootlegged a decade or so on the Tangible Vandalism vinyl release. The bulk of the tracks featured were early rehearsal run thoughts. But the emergence of this tape of newly discovered alternate takes offers a whole new dimension on the way it really was down in that workhouse in those energy crisis fuelled months. The material here is made up of the following components: Two basic tracks complete aside from their eventual overdubs, one instrumental backing track, one completely alternative version and a run through of a legendary unreleased Page led instrumental. That stark description almost devalues the epic proportions of what this tape offers. As for the actual sound quality, well it’s far removed from previous extracts from this era. Not quite A1 but most acceptable – full and rounded with just a hint of top end. Allegedly, this was a tape owned by Robert Plant and given to an associate of the band during their 1975 US Tour. There were new developments afoot and Trampled Underfoot was one of the most successful. Custard Pie meanwhile found them reaffirming their blues roots (reference points include Blind Boy Fuller’s I Want Some Of Your Pie and Bukkla White’s Shake Em On Down) in a concoction of out and out riff led energy that cooks and smoulders from the moment Page kicks in some very 60s Kinks like licks. The version here is again near to finished master minus overdubs mixed with more echo and featuring an entirely different Plant harmonica solo and has a full ending. It lacks the ARP synth effect employed by Page on the overdubs but this mix does present Jonesy’s clavinet effects clearer than ever before. It had me leading off on a tangent on how this must have looked in the studio (house!) 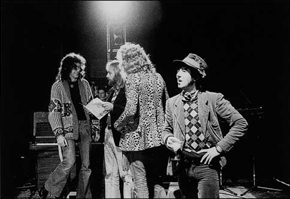 at the time – and if there had have been an accompanying video shot, would we not be looking at the jovial Plant strutting around Jimmy’s Gibson shadowed by a grinning Jonesy and Bonzo mouthing out the words in sheer bliss, knowing that they have stumbled on an instant groove – a groove that allowed them to just kick in and recreate within four walls, what their ever increasing audiences were subjected to time and time again on stage. This Custard Pie outtake sounds like it could have been recorded on any night of their ’73 tour, capturing all the vibrancy of their best live work. The fact that they managed to capture that vibe whilst ensconced in the Headley workhouse is a testament to their total compatibility for the mobile studio recording methods. That “shoom shoom” tempo is heard in possibly greater effect than ever before on the instrumental version of Kashmir presented on the tape. This is not the Driving To Kashmir Page Bonham demo mentioned by Jimmy in the celebrated Trouser Press interview in 1977 (though who knows – maybe that will surface one day). What we get is a complete instru­mental run down beginning with Bonzo’s “1-2-3-4″ count in. This version’s backing track sounds very much like the finished version. However it’s a real novelty to hear just the three of them (Jonesy on bass) bearing down incessantly on that classic mesmeric riff. It’s much easier to hear Jimmy scrubbing across the strings while in the percussion department the whole thing is a startling exercise in Bonham expertise with that phased timpani ringing out. At around 3.18 you can make out Robert briefly joining in the background. At the end of the slower mid part ((i.e. where the “woman talking to ya” ad lib would appear) there’s a supreme moment as the three of them grind to a halt for a about a second before Bonzo crashes them back in and that riff kicks in again. If they ever get around to doing an Anthology film, I want to hear this version of Kashmir blaring out as the camera pans around that stairway in Headley Grange, recalling the moment when that “shoom shoom” tempo came alive. 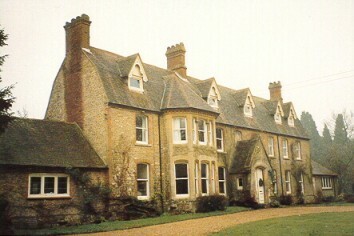 At the time of release, In The Light was said to be Jimmy’s favourite track of the whole set. It’s a shame they never got around to performing a proper live version. Of all the band’s more epic constructions, this opus is perhaps the most underrated and underplayed. More recently it’s gained something of a renewed prominence – indeed Robert inserted lyrics from the track within several of the CallingTo You /Whole Lotta Love medleys on the 95/96 world tour. The arrival of this complete alternative version only adds credence to the fact that this really is one of their most outstanding compositions. The genesis of In The Light has of course already been exposed by the In The Morning/Take Me Home early run through in the Tangible Vandalism album. Those versions were attempts on both the lyrics and the structure of the piece. This new delivery of In The Light is a complete alternate version (which could be loosely termed ”The Elizabethan arrangement”) and put simply sounds magnificent. Following the phased intro, it then all clicks into the familiar bombastic riff exercise and it’s Bonzo again leading the way pushing the singer’s confidence along. The guitar and drum tracks sound almost identical to the finished master and were probably retained for the final mix. There are some vocal alterations on the chorus with Plant first repeating the “In the light” phrase twice and then changing it to “With the light” on the final refrain. He comes in slightly early with the “Shoo wop a do… everybody needs the light” line before the finale which is minus the multi dubbed guitar parts that so enlightened the released take. This provides further opportunity to marvel at Bonham’s drum patterns as they crash around the kit “Oh” exclaims the singer before it all grinds to a halt. Suffice to say this is a marvellous alternate take with Jonesy’s Elizabethan links shedding new light on an old friend. Given a little work on the lyrics, it could have rightly taken it’s place proudly on the album. As it turned out, they scrapped this version and started again this time placing the emphasis on the drone effect. The fact that it was discarded says much for their insistence to further experiment and strive for new sounds during this period. So ends this illuminating peep behind the Graffiti windows. One could argue that much of this material was never considered for mass listening and are clearly work in progress tapes. But as was revealed so conclusively by The Beatles Anthology series – such outtakes material can often reveal a texture and atmosphere that admirably compliments the officially released versions – and most importantly of all, offers vital evidence into the creative procedure that duly made these songs what they were. 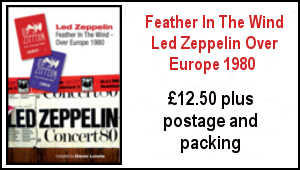 That fact can certainly be said of this ”Oh my God” tape – which like all the vital unreleased material really does add more colours to the canvas that was so clearly exposing the new sound of Led Zeppelin back in the early months of 1974. Dave Lewis/Gary Foy – March 6th , 2014. I’m just listening to the Minibus Pimps album, great strange stuff. Unfortunately, it is just 29 minutes long. Now I’m waiting for the next Super Silent album, hopefully with JPJ. The homestretch of Swan Song has an almost mesmerizing feel as the three elements come together. Hard not to share Pagey’s ambition for the piece. Thank you for the great post to start my Saturday morning with. I have always enjoyed this “In the Light” version. 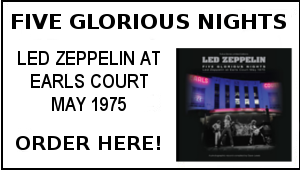 A band working together on a piece; no distractions, no ego’s, just pure art that reveals the side of Led Zep not often seen, heard or talked about; other than here on your site! Well done mate! Have always loved that alternate version of In The Light. Dave – do you know if it features on any ‘unofficial’ vinyl releases?